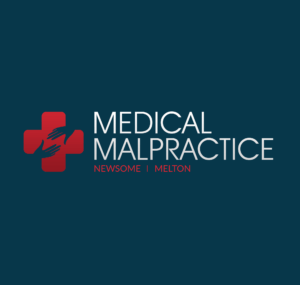 In the event of a death due to medical malpractice, it is the responsibility of the deceased’s survivors to seek compensation from any negligent physicians or facilities. This can be a long and difficult process, requiring the services of an attorney who specializes in medical malpractice law. However, in the United States, surviving spouses and dependents are also eligible for what is known as survivor benefits. These benefits are offered through Social Security Administration. A surviving spouse is eligible for survivor benefits once she reaches retirement age. For those born prior to 1956, this age is 66 years. For those born after 1962, the age requirement increases to 67. It is possible to obtain a reduced amount of benefits at the age of 60, and disabled persons can begin collecting at age 50. A surviving spouse can receive benefits if she cares for the deceased’s children who are under the age of 16 or disabled. Surviving children are eligible for benefits up to the age of 18. The age limit is 19 if they are still attending school full time. If the children become disabled and remain disabled before the age of 22, they are eligible for benefits. Workers pay into Social Security over the course of their work lives. Credit is earned for each year in the workforce. The amount of work necessary to receive benefits depends on the deceased’s age at the time of his death. A young worker will require fewer years, but under no circumstances does the amount of years worked requirement exceed ten years. Former spouses can receive benefits if the marriage lasted over 10 years. They must be at least 60 years of age. If they are disabled the age requirement drops to 50-59 years of age. Spouses are exempt from this requirement if they are currently in custody of the deceased’s minor children. Social Security is allowed to make a one-time death payment of $255 to the deceased’s child or spouse if the deceased has worked the required number of years. Survivor benefits are there to help those left behind, and they are money owed. Working people pay into social security for the entirety of their working lives. It is expected that upon their deaths, their survivors will be taken care of. Unfortunately, this is not always the case. Sometimes the services of an attorney are required to make sure that the proper amount is paid to the survivors.